Pete said: Now that the trailer has settled on me, I think I’m more excited about this movie than I I was. Andy said: I am going to have a hard time not comparing it with Pirates of Silicon Valley. When making a film about a figure known for innovation and forward thinking, to deliver a film that is merely adequate is nearly an insult to your subject. 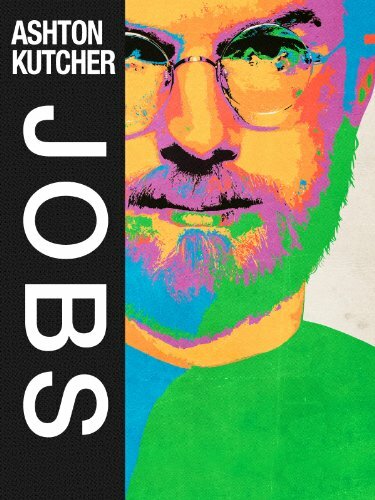 This film trod the middle ground in a workman-like manner to chronicle Jobs’ life. Rather than embodying the Apple marketing slogan “Think Different”, this films delivers mediocrity. Anyone who has read the biography by Walter Isaacson will be familiar with the events portrayed in the film, yet feel that the energy that Steve Jobs is known for, is lacking. During the end credits photos of Apple employees are presented alongside stills from the film. What this revealed to me was that casting was perhaps focused on finding actors that physically resembled the people they were portraying rather than finding actors that brought something to the role. No one actor stands out in this crowd of familiar faces, which is one of the reasons why the film comes across as flat and dull. 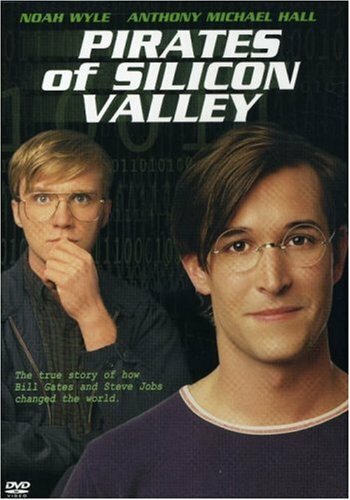 Rather than watching Jobs, which feels like a made-for-television film, I recommend committing time to the Isaacson biography and 1999’s Pirates of Silicon Valley. That film contains an outstanding performance by Noah Wylie, one that even earned praise from Jobs himself.